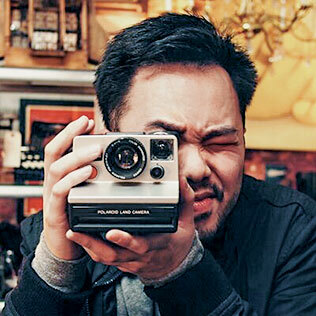 Rick Chung is many things, including a digital journalist turned creative strategist, community manager and professional wanderer. He studied political science at UBC with a focus on international relations and development. From there, he went onto the broadcast journalism program at BCIT and started his blog. Aburi Oshi Sushi - Miku, #70-200 Granville St. and Minami, 1118 Mainland St.
Aburi, or flame-seared sushi, is the specialty at both Miku in Coal Harbour and sister restaurant Minami in Yaletown. This particular dish features pressed prawn, house-cured mackerel or sockeye salmon, each with its own special sauce, over impeccably prepared rice. 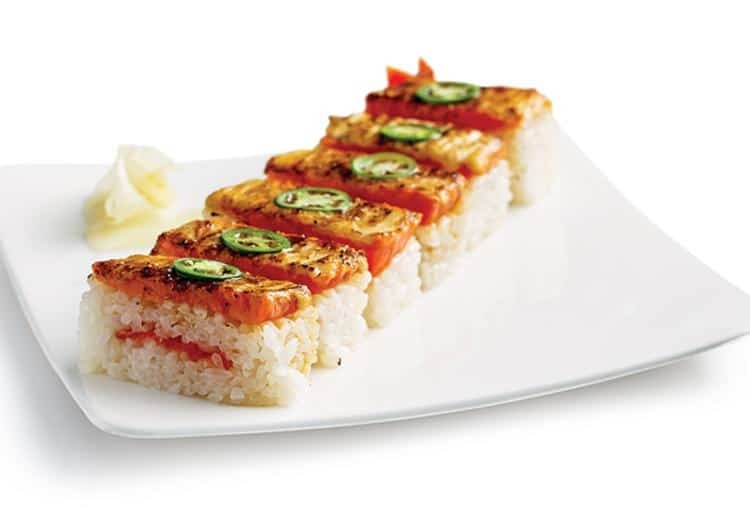 I suggest the salmon with jalapeños for an extra kick. Miso Ramen - Hokkaido Ramen Santouka, 1690 Robson St.
Hokkaido Ramen Santouka makes a mean bowl of ramen and their miso option (soybean paste flavour) is the perfect medication for anything that ails you. Hokkaido has locations around the world, including many in Japan, and they take ramen very seriously. 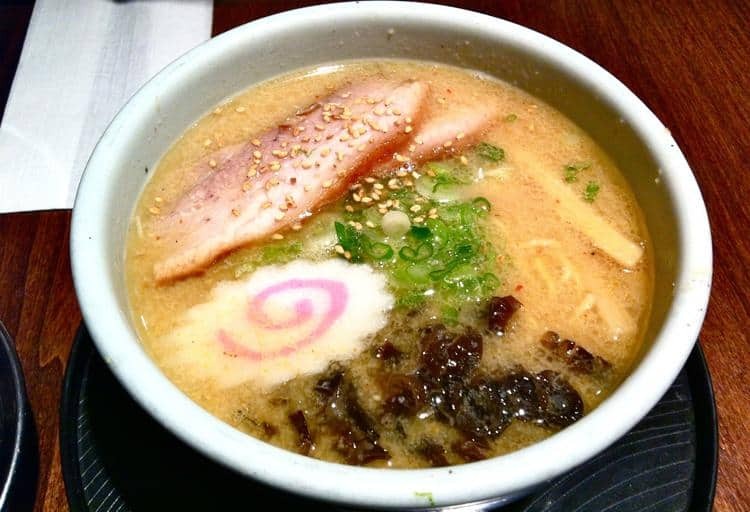 The miso-infused pork broth is so meaty and brings every element together in delicious harmony. Steak Frites - Bistro Wagon Rouge, 1869 Powell St. Although the menu is ever-changing at this French-inspired bistro, you can count on delicious classics like the steak frites. 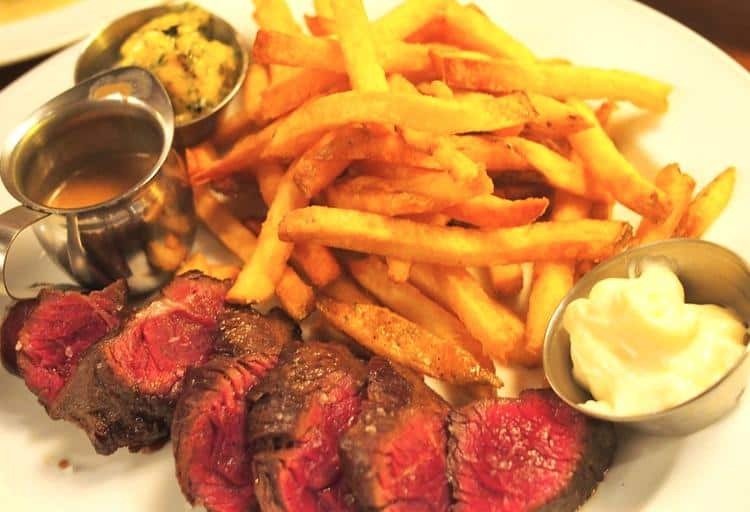 This version offers up a flavourful hanger steak pan-fried to a perfect medium rare, served with golden crispy french fries and topped with peppercorn sauce and Café de Paris butter (a herb/spice butter sauce). Ever wonder what an ice cream version of a snickerdoodle cookie would taste like? Rain or Shine’s adaptation does not disappoint with its rich cinnamon flavour and creamy texture. It’s like eating a soft, cold cookie. 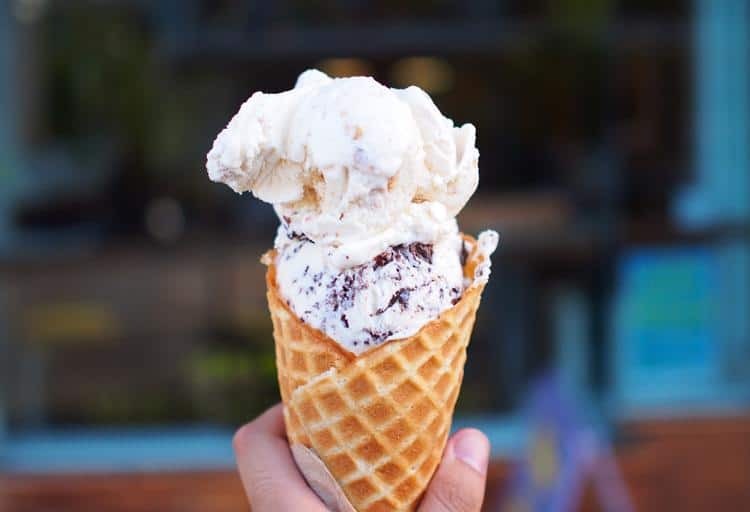 I recommend it served in a waffle cone. The Currywurst - Bestie, 105 East Pender St.
For the uninformed, currywurst is a German staple: sausage with curried ketchup served with fries. Bestie’s version is flat out tasty and perfect for satisfying your cravings at all hours of the night (the “friendly little sausage and beer parlour” is open until 1 a.m. on Friday and Saturday). To mix it up, you can choose your sausage (pork, turkey or even bison) and add toppings like sauerkraut. Yolk’s food truck recently opened a brick-and-mortar location in Strathcona and its popular lemon-truffle hash browns, which are served on a skewer for easy eating on the go, have now made their way onto a restaurant plate. 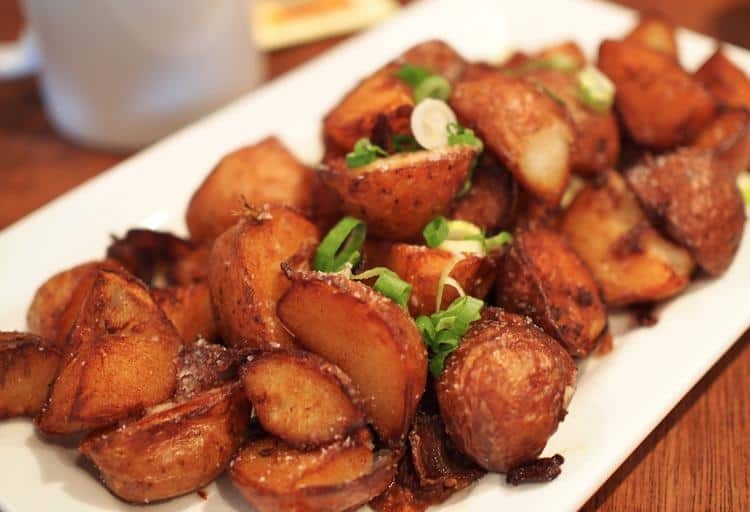 Not your traditional hash browns, Yolk’s elevates the breakfast staple by serving up organic local potato wedges fried to a golden brown with lemon zest, truffle oil, sea salt, chives and spicy ketchup. Fried Chicken - L.A. Chicken, 11780 Thorpe Rd. Located in a random strip mall in suburban Richmond, the chicken here is unreal. Made to order, your chicken is always fresh and hot. 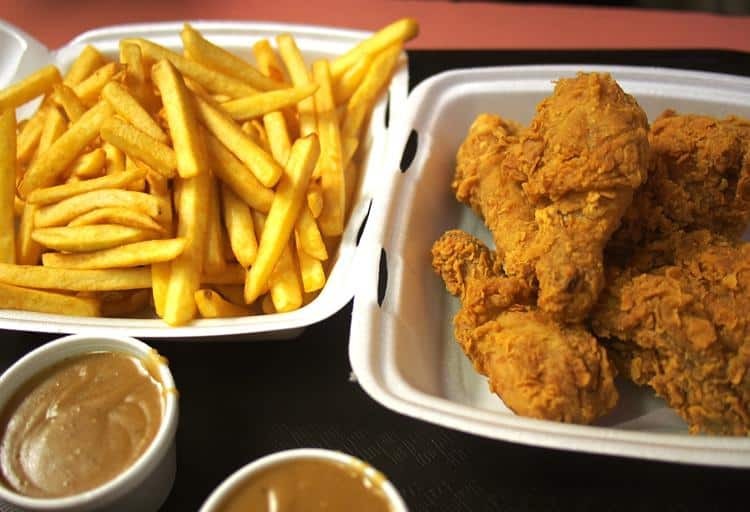 L.A. Chicken offers different meal combos with no-frills french fries and a piping hot cup of gravy. It’s totally and completely bad for you – and spectacularly delicious. 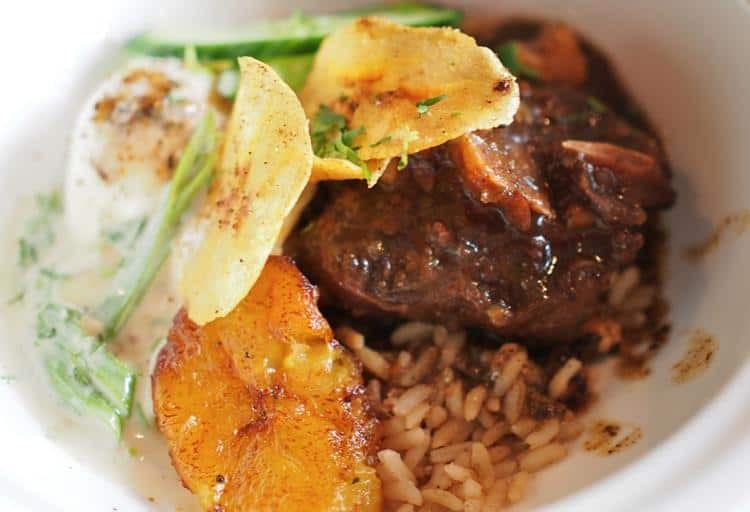 Oxtail - Calabash Bistro, 428 Carrall St. Cue the steel drums. 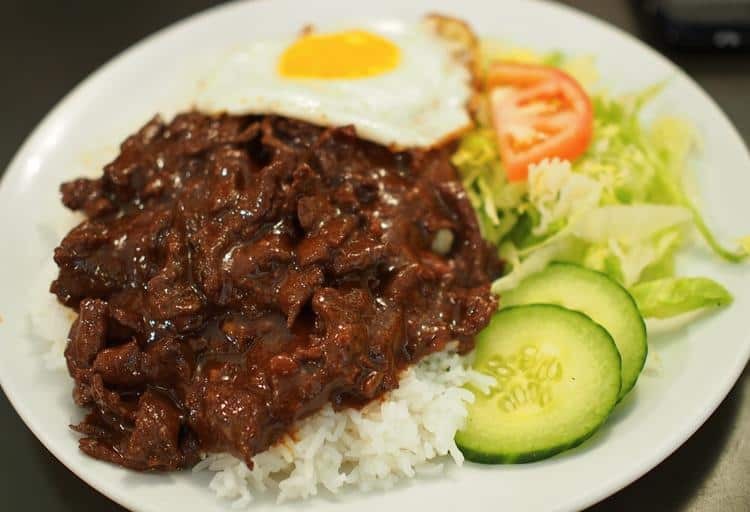 This dish will fill your mouth with its meaty, Caribbean flavours. The oxtail is marinated, then stewed and served with a fried coconut dumpling. For breakfast lovers, Calabash also offers a stewed oxtail brunch bowl on weekends, complete with poached eggs and Hollandaise sauce ($13). 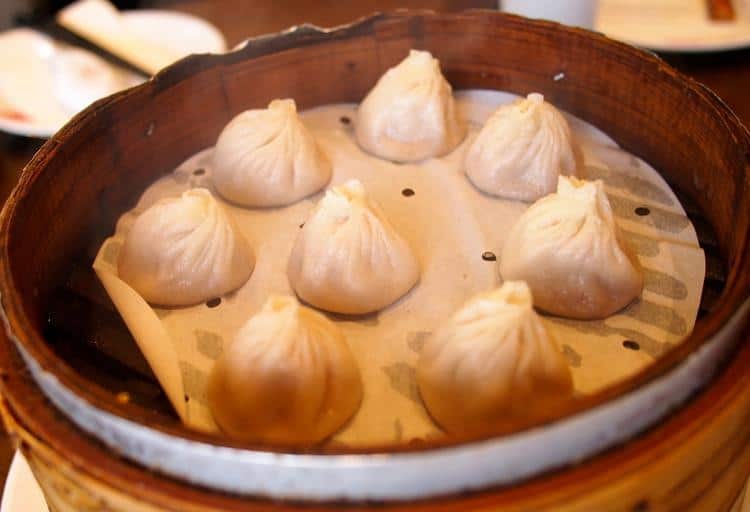 Xiaolongbao (XLB) is a Shanghainese dim sum dish of pork soup dumplings. Dinesty’s dumplings are smaller than most, but even more savoury. They’re packed tight and explode with mega pork flavour in every bite. It’s a lovely combination of meat and soup in dumpling form. Filet Beef Luc Lac - Phnom Penh, 244 E Georgia St.
Phnom Penh in Chinatown is famous for its chicken wings, but it’s the filet beef luc lac served on rice that is the must-try dish. It’s a scrumptious combination of Asian flavours: soy sauce and fish sauce, with tasty beef (which is shaken in a wok) and fresh veggies, all served on white or fried rice.